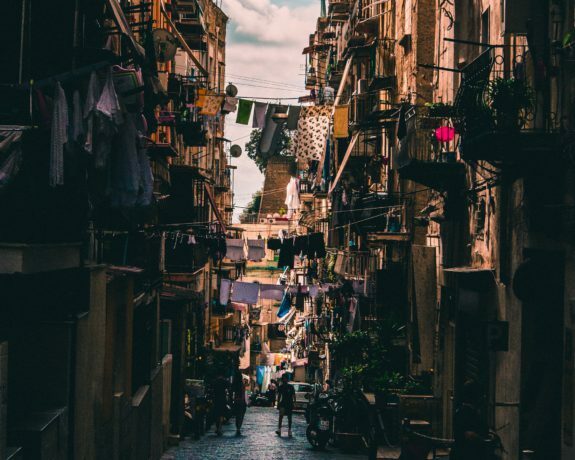 The narrow and jumbled Napoli streets are a home to the heart of Italian craftsmanship. Each and every bag for man is mainly made from full grain leather, from Italian grown cows, treated with respect. This Italian leather then goes through vegetal tanning at Conceria Rosati, in respect of nature and tradition. 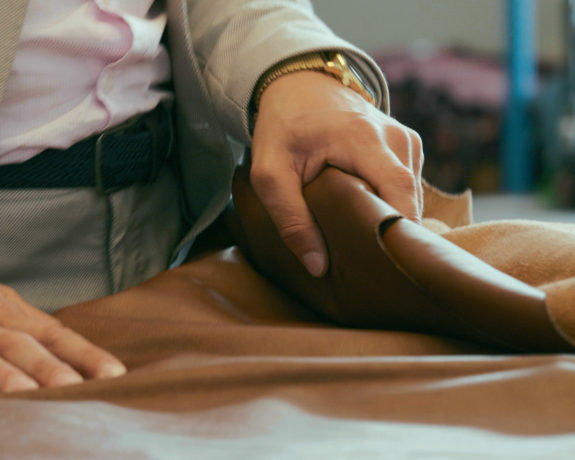 Finally the leather colour or hue is obtained through semi aniline treatment in order not to weaken our leather bags while keeping the rough touch and feel of the hide. Every Paolo Bari item is the fruit of a long and meticulously painstaking work by three different artisans, just 20 minutes away from the heart of Naples. The original pattern was first hand drawn by an artisan. In the second workshop, this pattern was then placed in a silicone disc in order to undergo heat pressure. In this disc a mixing of various molten metals is being hand-poured, to get the first, untreated pieces. 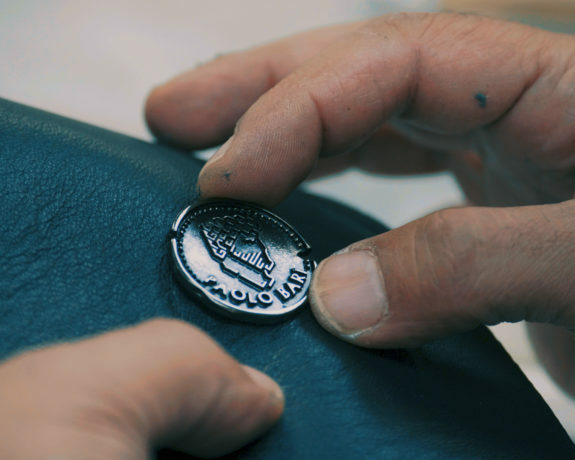 Only in a third workshop will the polishing, the colouring and the finishing touches be brought to the unique Paolo Bari sestersius.